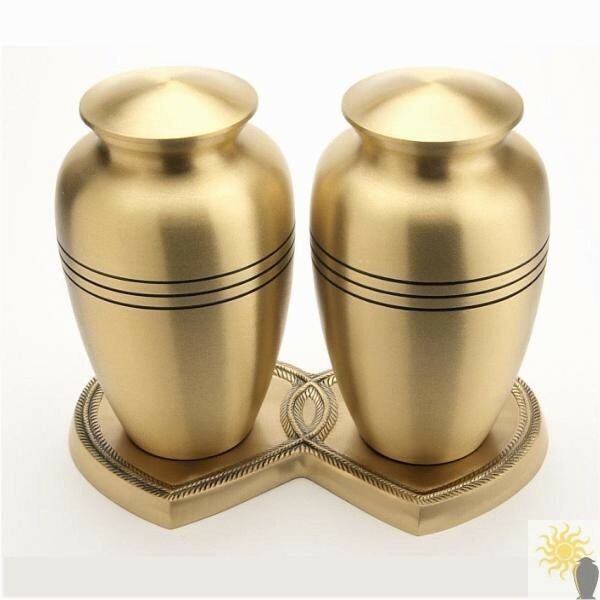 The Cheadle Brass Companion Set is a very high quality pair of solid cast brass cremation urns. 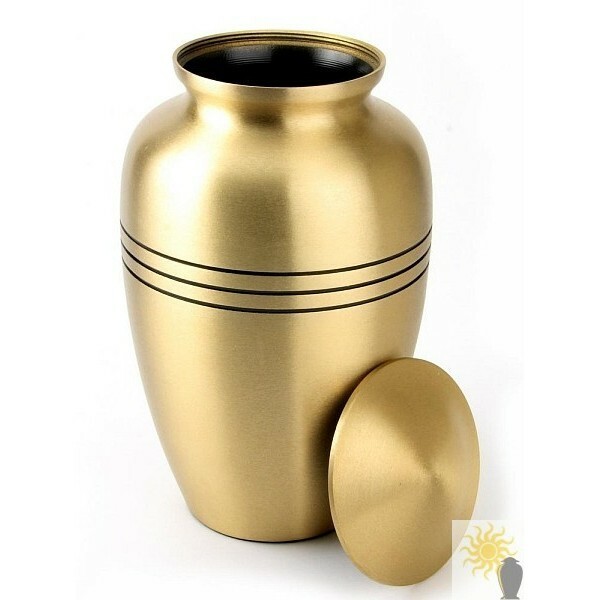 These funeral urns have a matt brass body and lid and are embellished with three plain black bands around the middle. It also has a matching twin heart shaped plinth with a little rope twist engraving to stand them on. This urn is designed to be suitable for the ashes of an adult. Capacity - Approx 3.3 Litres or 213 cubic inches EACH, which makes them suitable for the ashes of two adults of approx 100kg or 15 ¾ Stone each.